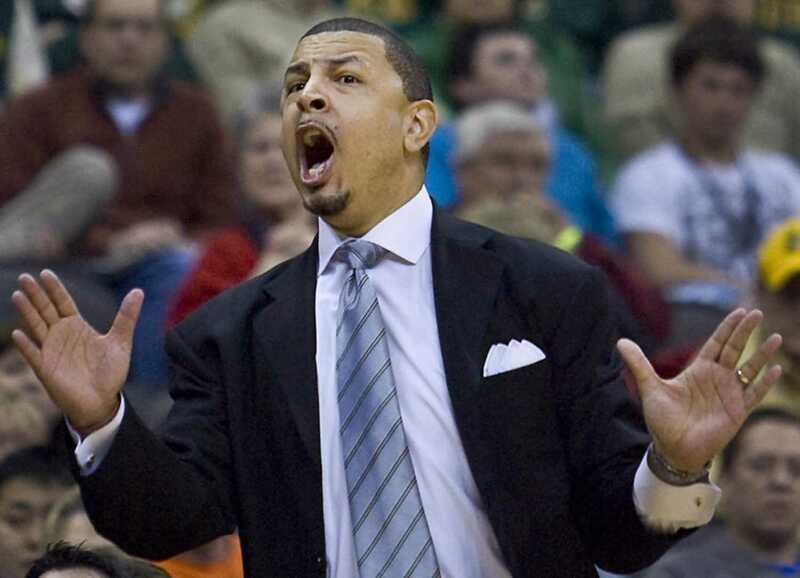 The hiring of Jeff Capel as Pitt’s newest men’s basketball coach in March brought excitement to a program that has been plagued by mediocrity since Pitt’s last NCAA Tournament appearance in 2016. After winning just four conference games over the last two years under Kevin Stallings, the Panther fanbase seems to be re-energized with the hiring of Capel. Capel’s coaching resumé — he made three NCAA Tournament appearances as a head coach at VCU and Oklahoma and helped recruit 19 McDonald’s All-Americans as an assistant coach at Duke — speaks for itself and fans should absolutely be excited about the future of Pitt basketball. But they shouldn’t expect his first team to take the college basketball world by storm. We all need to remember that this is a team comprised of first-years, graduate transfers and a cast of veterans that failed to win a single ACC game last season. True, Capel has done an impressive job transforming Pitt’s disastrous recruiting class into the sixth-best class in the ACC, according to 247Sports. His impact on the program without even coaching a game is notable. Still, they are competing in the best conference in college basketball, with a roster that is largely not of his own design. When Capel was hired, he immediately began recruiting, bringing in combo guards Xavier Johnson and Trey McGowens, the latter of whom was rated as a four-star recruit and the 10th best at his position in the nation by 247Sports. Assistant coach Milan Brown expressed that they, along with the other first-years on the roster, will have the opportunity to see ample court time in their first year on the team. As the team’s most prized additions and heirs to the program, they will absolutely play. But Capel will need Pitt’s returning players to buy into his new system and show improvements from last season if the team seeks to make it out of the ACC basement. Senior guard Jared Wilson-Frame was the Panthers’ leading scorer last season, but his on-ball defense and offensive efficiency left much to be desired. Sophomore guard Khameron Davis was the team’s best perimeter defender last season, ranking second on the team in steals and blocks, but he only averaged four points per game. The transfer of starting guards Marcus Carr and Parker Stewart — who finished second and third in points scored, respectively — out of the program certainly didn’t help matters either. Needless to say, numerous things need to improve with this guard group if the Panthers truly want to compete with the dominant backcourts of the ACC. The Panthers may have great depth up top and on the wings, but they will have some serious difficulty protecting the paint. There are only four truly big men on the roster, and only junior Kene Chukwuka and sophomore Terrell Brown played meaningful basketball for the Panthers last season. Chukwuka provides hustle plays and infectious energy, but he isn’t a good rebounder or shot blocker. Brown was the Panthers’ leading shot blocker last season, but he lacks necessary physicality and is a poor rebounder in his own right, grabbing only 3.4 boards per game as a freshman. Both players struggle to score in the paint consistently. With the steady supply of stellar big men that the ACC seems to provide year in and year out, the Panthers are going to have a tough time not getting bullied in the post. As a result of their size deficiencies, Pitt will have to play some three or even four guard lineups to capitalize on their speed and athleticism. Junior guard Malik Ellison believes that Capel’s style will suit their skill set perfectly. Like many of his freshman teammates, Ellison is an unknown for the Panthers. The St. John’s transfer sat out all of last season, and he is itching to get back on the court for his first taste of competitive basketball in nearly two years. The coaching staff certainly thinks highly of him as well, as Brown noted his leadership skills and willingness to mentor some of the younger players on the team. “Malik has done a great job leading by his voice and his actions,” Brown said. Ellison very well could be the most important player for the Panthers this season. His versatility at 6-feet-6 will allow him to potentially play and defend four different positions, which will prove quite useful to Capel and his staff if they do decide to play small. Unfortunately, it remains a mystery what Ellison can do. He only averaged about seven points per game at St. John’s, and he was just an average shooter and creator. It seems like more of a sure bet that he will have his largest impact on the defense, likely matching up with the opponent’s best perimeter threat. With all of the potential difficulties this team may encounter, fans may wonder exactly what they should want from Capel’s first season as coach. The answer is relatively simple. Pitt fans should just expect growth and improvement. They should root for a team that is tough, competitive and getting better each week, crafting the foundation of a culture that will pay off down the road. This team is not going to win the ACC and they are probably not going to make the tournament, but that doesn’t mean fans can’t enjoy the 2018 season. Pitt will do well in non-conference play, as their only true test is West Virginia. They will likely win between seven and eight conference games and they may even have a few upsets up their sleeve — and that’s absolutely enough. We should interpret their victories as hope — signs that Pitt basketball will return to the glory days. It may not happen right away, but it will be worth the wait.